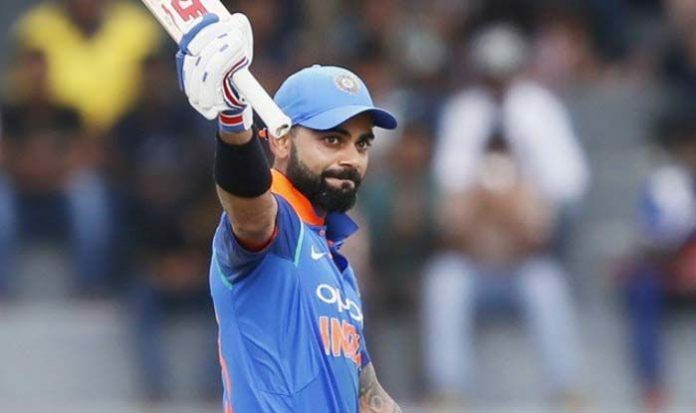 Indian cricket team’s captain, Virat Kohli, has been named ‘Leading Cricketer in the World’ in this year’s edition of the Wisden Cricketers’ Almanack, the publication said on Wednesday. It is for the third consecutive year that the top-ranked batsman in Tests and ODIs has made to the publication’s list. He is also the only non-English player in the prestigious almanack’s annual edition. “Despite finishing on the losing side, India Captain Virat Kohli shone with the bat, laying to rest his struggles in England in 2014,” Reuters quoted Wisden editor Lawrence Booth saying. Virat’s 593 runs in the five-test series last year at an average of over 59 got him the nod from Wisden. The four other Wisden Cricketers of the Year are Sam Curran, Jos Buttler, Tammy Beaumont and Rory Burns.